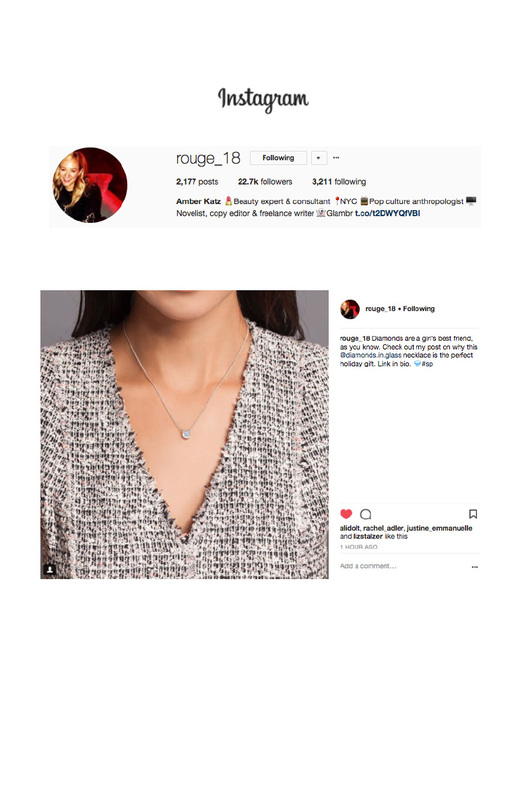 The Caroline Pendant in White Gold with Clear Glass was featured on Rouge 18’s blog and Instagram. The necklace was included as a part of a series of Gift Guides that Amber creates based on favorite TV personalities and what they would want to be gifted. View the Gift Guide and see the Instagram post.